The Government and people of Grenada, in collaboration with Leiden University, of the Netherlands under the direction of Drs Corinne Hofman and Menno Hoogland, have returned to Grenada after commencing work a year ago on excavating an Amerindian site in the village of La Poterie, St Andrew, and successfully unearthing signs of an Island Carib/Kalinago village, probably one of the last free Amerindian villages in Grenada. 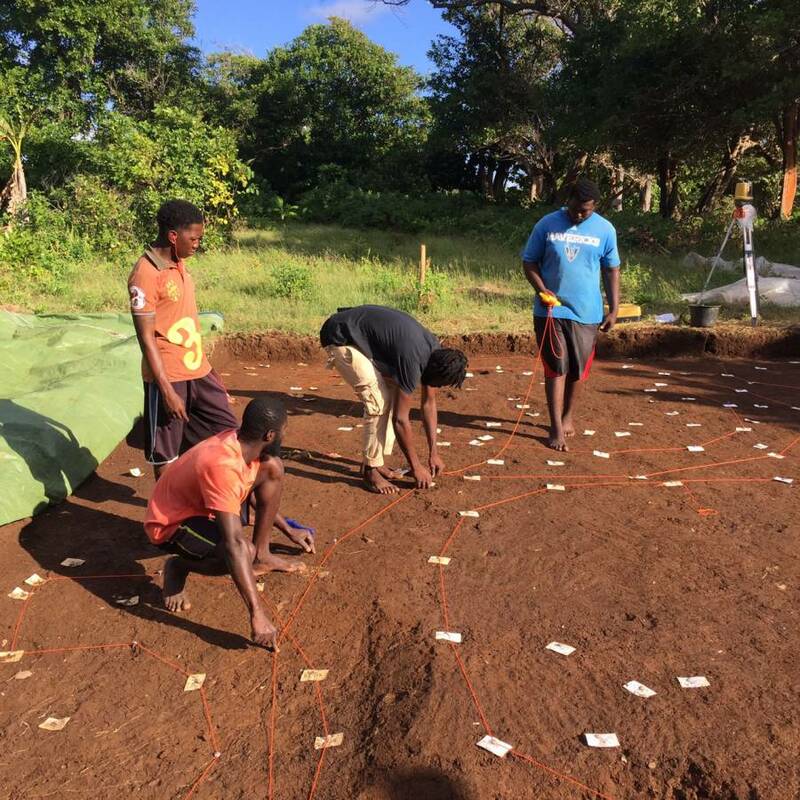 The current team, comprising members of the La Poterie community and students from St George’s University, and students and faculty from Leiden, are continuing excavation to locate the rest of the village. They have uncovered the remains of additional Kalinago houses, and revealed the remains of multiple postholes that had supported various structures, which confirms earlier evidence that the area was home to a Kalinago village. This is a crucial find because it locates Amerindians, particularly the Kalinago, in Grenada’s historical landscape and provides information to more fully understand the island’s fascinating indigenous heritage. The team is also examining the adjoining cliff where Cayo pottery shards and other artifacts have been recovered. Recent heavy rains revealed an interesting coastal profile that may provide additional information on coastal and land erosion, the extent of the Kalinago village, and other important questions on La Poterie’s indigenous peoples. 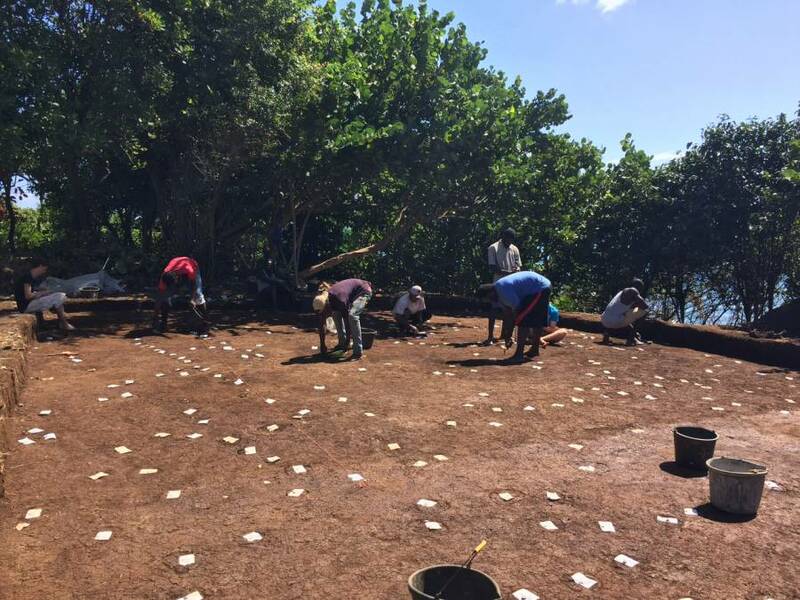 As part of the outreach of the project, the public is invited to join us on Thursday, 19 January 2017 (from 10 am to 5 pm) for an open day at the La Poterie excavation site to see what the team has uncovered and learn more about this unique historical Kalinago village. It should be noted that this is only the second Kalinago village unearthed in the Lesser Antilles, the first being at Argyle, St Vincent. The excavation team thanks the people of La Poterie, St Andrew, the Government of Grenada, the Ministry of Tourism and Culture, the Ministry of Agriculture, the Ministry of Education and Environment, Hon. Roland Bhola, MP for the area, Ms Cleopatrice Andrew, the teachers and students at the Tivoli RC School, Mr Dolton Charles, Mr Cheo Christopher, the Grenada/Leiden team, and all those who have contributed to the success of this project that aims to provide a deeper understanding of Grenada’s heritage, and the urgent need for its preservation and interpretation. For further information, please contact Angus Martin (martinja64@gmail.com / 456-9681), and Michael Jessamy, Heritage Officer at the Ministry of Tourism and Culture.